Det var ju sjukt tätt i förra årets MedCup. På måndag drar det igång igen i Alicante, och alla nya båtar börja komma ut på havet. Här är massa fakta om tävlingarna och båtarna för er som gillar att ha koll. Foto: Gilles Martin-Raget. Foto: Thierry Martinez. MedCup Hyères 2007. The world’s leading regatta circuit has three years of real history Keelboat racing in yachts of a certain size has been popular for many decades. But after years of sailing with a handicapping system that uses an elapsed time scoring system, a large number of owners wanted to be able to sail in real time, knowing who the winner of the race was as they crossed the finish line and not hours later when a whole series of complex calculations had been made. 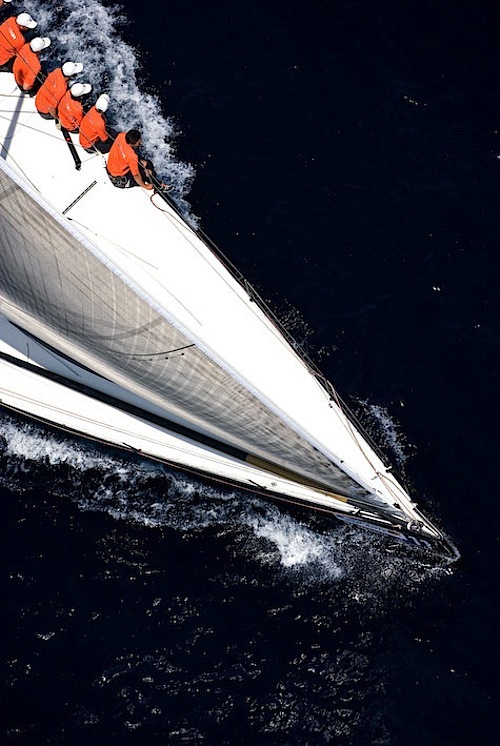 So the TP52 Class, a 52-foot (15.8 metres) long no-holds-barred level-rating racing monohull, which was originally developed in the United States, came to be sailed in the Mediterranean. 2005 saw the first event of the Breitling MedCup Circuit in Punta Ala off the Italian Tuscan coast. 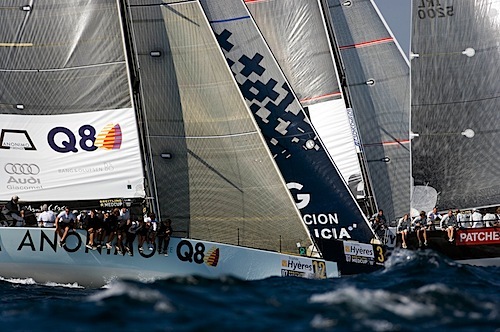 There were just seven yachts on the start line of this first event but the seed had been sown and later in the season the fleet grew in size to eleven boats and competed as a class at the Trofeo Reina in Valencia, followed by the Copa del Rey in Palma, Mallorca. The closing event of the inaugural season was held in Porto Rotondo in Sardinia, with Vasco Vascotto’s Pisco Sour crowned the first MedCup Champions. 2006 was to exceed all expectations with a total of 22 boats competing at the highest possible level. The fleet welcomed new designers and new owners to compete against the ‘old hands’ from the previous year. The Circuit increased the number of races and venues – first they went back to Punta Ala in Italy, then to Castellón in Spain followed by Portals and Palma in Mallorca, then Athens in Greece and finally to the closing event in Ibiza. 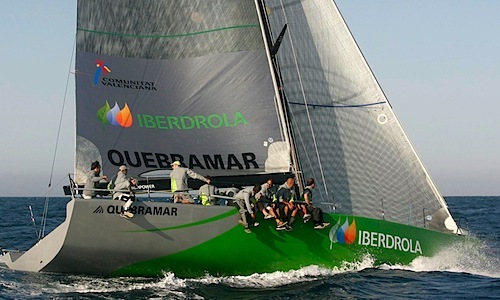 Mutua Madrileña – Mean Machine and her owner and skipper, Peter de Ridder, were the overall winners, but they did not have an easy ride with boats like Warpath and Siemens, ensuring that there was a battle right to the final race. 2007 turned out to be stronger again for the MedCup, with a total of 24 boats competing and yet more new faces and boats appearing over the five-event circuit. The season started in Alicante in mid-June, then moving to Majorca for two events in July and August in Portals and Palma respectively, before heading to the Atlantic for the first time with a regatta hosted by Portimão in Portugal, before returning to the Mediterranean and closing the season in Hyères, France in early September. There were many winners in 2007 but the dominant Swedish Artemis, owned and steered by Torben Tornqvist with Russell Coutts on tactics, dominated and took the circuit prize. 2008 is set to be yet another historic year with eight new boats being built especially to compete during the six individual regattas that make up the Circuit. With Audi taking the title sponsorship, a points system change that requires every race to count the 2008 Audi MedCup Circuit will likely see the toughest competition ever for overall honours. The Audi MedCup Circuit is now, without question, the world’s leading regatta circuit. Foto: Diego Yriarte. Stay Calm (GBR), Copa del Rey2007. The Audi MedCup Circuit is a series of six 5-day regattas that take place in four countries in South West Europe. Having been created in Spain the Audi MedCup Circuit still has a strong Spanish association, with half of the events taking place there. Each Spanish event however is balanced by a non-Spanish event with one in France, Italy and Portugal. The ancient city of Alicante opened the 2007 MedCup season as it does the 2008 season. With its international airport, extensive tourism infrastructure along the waterfront, modern yacht marina and clear open sailing waters, Alicante is an ideal venue for TP52 racing. Sailing in the shadow of the impressive Castillo Santa Barbara will provide spectators with the best vantage point from which to watch over the racecourse. Racing will be held in the Rade Sud, just a short distance from the world famous Vieux Port of Marseille. Whilst sailing under the shadow of Notre Dame de la Garde, the imposing church on the top of the hill that Marseille is built on the racing teams can expect to sail in all conditions from light airs to the full strength Mistral winds that this area is famous for. The Vieux Port experience awaiting the teams at the end of each race day is unique as it is right in the central business district of the city of Marseille with all of its cafés, restaurants, shops, bars and nightclubs surrounding the moorings. Marseille is a sports mad city. It hosted some of the games of the 2000 Football and 2007 Rugby World Cups, the first Act of the 32nd America’s Cup, stages of the Tour de France bicycle race and of course Marseille is the home of the most popular French football Team, Olympique de Marseille. Foto: Diego Yriarte. MedCup in Hyères 2007. Cagliari is famous in sailing terms because of its reliable winds, something that is sometimes a problem in the Mediterranean. Well known by Italian sailors this jewel of a sailing venue is less known by foreign yachtsmen. The Old Port, extremely important strategically since the beginning of time, is today surrounded by restaurants, cafés and bars. An important tourism destination the region of Cagliari is overloaded with things to do from beach to real culture. A favourite of the MedCup circuit the small port of Puerto Portals, just to the West of Palma is a calm and relaxed venue, just on the edge of the Bay of Palma and the famous race course areas. All facilities to make an enjoyable sojourn for teams, guests and media are present in this mature tourism reference. Home of the Spanish Navy and one of the oldest cities in the world, Carthagena will be reached by the Audi MedCup fleet at the height of the tourist season in August. The weather will be hot, allowing reliable sea breezes to blow every day and give good challenging racing. Portimão, Portugal (15-20 September) Portugal Trophy – City of Portimão This is the second time the MedCup Circuit has visited Portimão. As the closing event of the 2008 season it is here that we will most likely see the Audi MedCup Circuit decided during the last few tough races. This picture perfect river estuary resort town on the Portuguese Riviera will be at its best in mid-September, with far fewer tourists than at the height of the season but still with exceptionally good weather. Foto: Thierry Martinez. MedCup Fleet approaching first top mark in Puerto Portal, Spain 2007. So how do you win the Audi MedCup Circuit? It is really simple on paper but really hard in practice. Like any sporting circuit it is about collecting points. Many regatta championships use a low-point scoring system and the Audi MedCup Circuit is one of these. The general concept is to be the team that collects the least amount of points throughout the season. 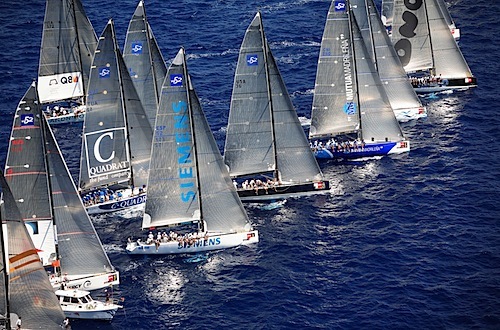 Points are awarded according to a yacht’s finishing position in each race. A yacht that finishes first gets one point. A yacht that finishes tenth gets 10 points and so on. So the boat with the least amount of points at the end of the season wins the “Audi MedCup”. In some sailing regattas, such as the Olympic Games, teams are allowed to drop their worst result after a certain number of races have been sailed. That is not the case for the 2008 Audi MedCup Circuit, every race counts making consistency the key to overall success. Deep in the mindset of each team’s afterguard the thought processes and philosophies being discussed before during and after each race will be calling for ‘a safe fourth over a high risk first’. It is better to finish safely in fourth place every time than to make a high risk move to maybe finish first in one race. The high risk approach will, by definition, be risky more times than not and will eventually result in a penalty, disqualification or a drop down the leader board when an emergency manoeuvre is required because of a missed approach to a mark or a start line – all situation associated with a higher points tally than going for the safe fourth place. 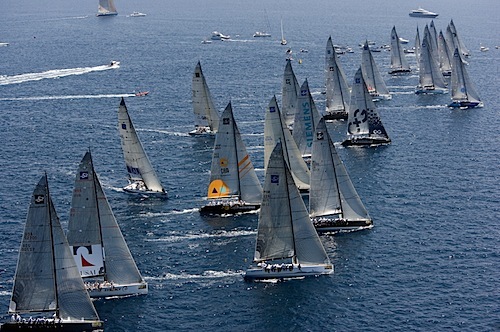 There is no such thing as the perfect world and there is no such thing as the perfect yacht race. A team wins a race by making fewer mistakes than the team that comes second. 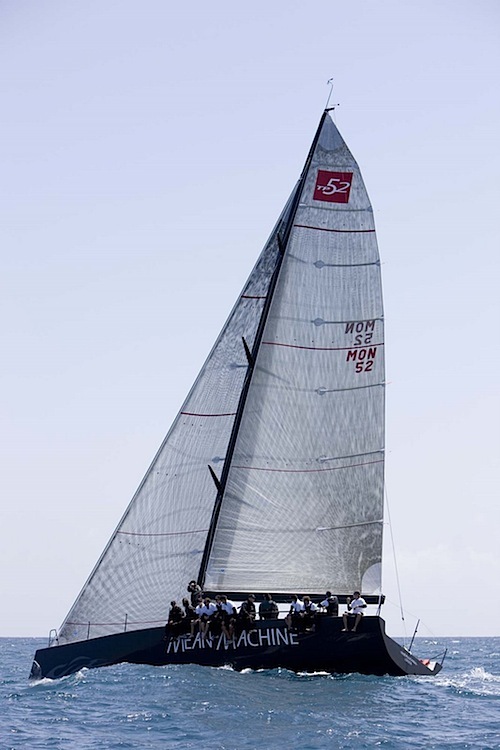 To win the 2008 Audi MedCup Circuit “prize” a yacht has to be the most consistent performer across all the inshore windward-leeward courses as well as all the coastal races. All races across all six regattas count. The team that takes this trophy will be the team that is the worthy champion and has made the least mistakes all year. 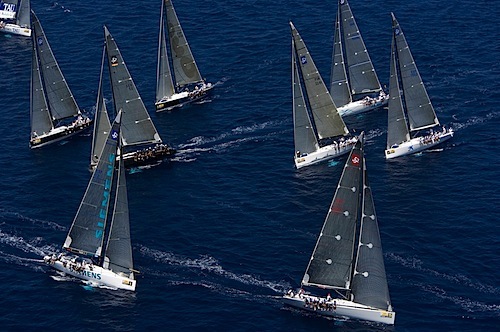 Each of the coastal races, one per regatta, are over two similar laps of a long course. One set of points is awarded on the completion of the first lap or part of the course, and a second set of points are awarded for completion of the entire course. The coastal races are therefore worth double the points that a windward-leeward course is worth. The Audi MedCup Race Committee has a variety of courses to choose from at each of the six venues and will make its decision based on the conditions at the start and what the anticipated conditions will be like during the race. If the forecast is for the wind to drop off the fleet will not be sent on a particularly long course as it may never finish the distance within the pre-set time limit, usually just before sunset. But if the conditions are going to be fresh and reliable all day the fleet may be sent on a course that is as much as 50 nautical miles long. Again depending on the conditions the coastal races can take as long as 8 hours each to complete as opposed to just over an hour for the windward-leeward courses. An extra set of skills is needed for the longer races than for the sprint inshore courses. The Audi MedCup Circuit rewards the teams that are best able to adapt to the two disciplines. Individual coastal races are more valuable than individual inshore races as far as points are concerned, but there are more inshore races sailed, putting a bias towards inshore performance, namely good starts, good choice of the course side, good boat handling skills, and good boatspeed. Again, the most important element is to be consistent. Significantly, if there is a tie in points at the end of the season for the championship, the tie is broken initially in favour of the team with the best set of results from the coastal races. If that doesn’t break the tie then the most number of first places, and then second places in the windward leeward races will be used. Foto: Gilles Martin-Raget. Copa del Rey, Palma de Mallorca, 2007. These offshore boats were designed specifically for the Transpac Race to Hawaii. The design criteria were they should be lightweight and simple, with maximum headroom below decks. Yassou, Rosebud, Lightwave, Flash, and Trader, fall into Generation One as being the boats built under the orginal design. Esmeralda, Brighstar, and Sjambok started pushing the envelope in technology and pushing boat design. Boats were being built to suit both distance and buoy racing as the creation of the Meditation Cup racing circuit started to form. 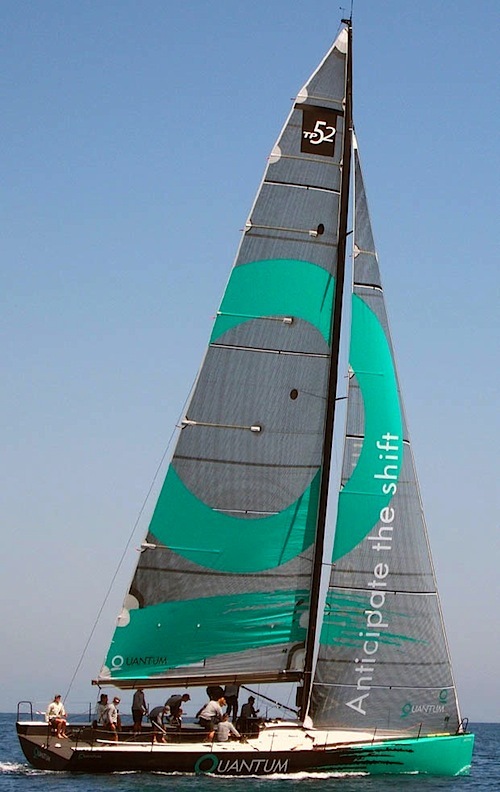 Radical changes to the TP52 were starting to be seen with the new boats, deck hardware, hull shape, rig design. Boats like Bribon, Cristabella, Valars, Patchs and Balearia were starting to be built exclusively to race in the calm waters of the Meditation racing circuit locations, with only limited inshore/offshore capabilities depending on the owner and builder. Morning Light and Mean Machine were built to be offshore and Med Cup racers. These are mainly the boats we are seeing today, boats specifically built to race in the grand prix circuit of the Med Cup. Built for speed and to maximize the efficiency of getting around a buoy racecourse. Boats in the likes of Astro, Bambakou, and Platoon. Again a few boats were still built to handle offshore racing Samba Pi Ti is an example. Doghouses are now almost completely disappearing in boats like Matador, rigging changing, hull shape is undergoing different designs with boats like Windquest, deck rigging and build of boats are getting skimpy and efficient, super fast grinders and winches are coming into a league of their own. Taking off weight were ever possible making hull and bulkhead thickness slimmer and slimmer. TP52’s are becoming awesome course racing machines. Have you seen the new Audi!?! 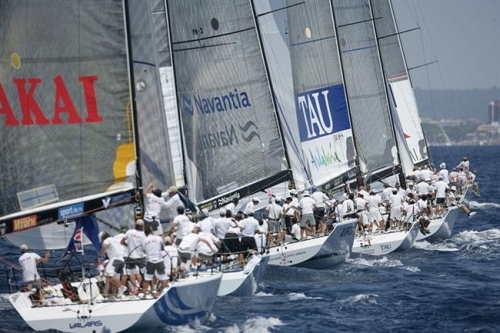 At the 2007 Annual Meeting the Members decided to give the go-ahead for researching a redefining of the TP52 Boxrule towards an even lighter, faster and more allround concept. The idea is to get rid of the majority of the current amount of internal ballast, define keel weight and size and get rid of IMS hullfile and inclining requirements and update in areas such as rigging and sailplan. 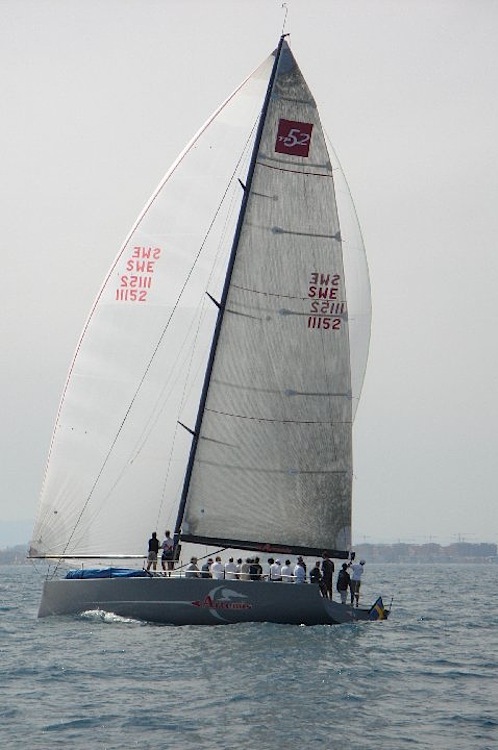 Aifos is one of the first three TP52 boats to have been built and competes in the MedCup Circuit for the Spanish Navy. Whilst the boat may not lead on scoring, the traditional and emblematic team serves to train and identify talent that will make the best Spanish professional sailors of tomorrow. With his all-star crew Torben Tornqvist won the 2007 Breitling MedCup Circuit outright. His new Artemis project is set to be amongst the favourites again for the 2008 Audi MedCup Circuit as he has built a new boat for this year and may well benefit from training with near sistership Oracle and the full weight of the BMW Oracle Racing Team. Russell Coutts is again to be the tactician and will draw on his pool of sailing talent to fill the important roles on the boat. A brand new boat for a seasoned Italian team. This is one of two boats on the circuit supported by Audi, which was launched in March in New Zealand. This sole Portuguese team is faithfully returning the Audi MedCup Circuit for third season with the same boat for the Associaçao de Lisboa. The American Challenger for the America’s Cup has got a busy year ahead of it with the prospects of a match against the Defender potentially to be sailed in October this year. Nevertheless the team is involved in many parallel projects including the Audi MedCup Circuit. This team had a successful season in 2007 with their new boat, winning the opening event in Alicante and remaining consistent across the rest of the four events. The competitive platform has been modified and optimised for the 2008 Audi MedCup Circuit and will feature a star-studded crew led by Kiwi America’s Cup skipper Dean Barker. This team had a highly successful season in 2007 and came very close to taking overall honours for the year by sailing consistently well. The boat has been much modified over the winter and may now be better able to perform in different conditions. The mast has also been changed in order to sail better in stronger conditions. Once again this seasoned team will be a force to be reckoned with on the 2008 Audi MedCup Circuit. This team is a regular on the Spanish circuit with good results in 2007. The team’s overall standing was damaged due to not competing at every circuit event. This year the Prince will be on board. The third season for this Austrian team made up of experienced Tornado sailors. One of the oldest boats on the Audi MedCup Circuit Cristabella is consistently sailed by an always-interesting group of sailors. The Spanish America’s Cup team had a highly successful Louis Vuitton Cup getting all the way to the Semi Finals and even here taking two races from the ultimate Challenger Emirates Team New Zealand. 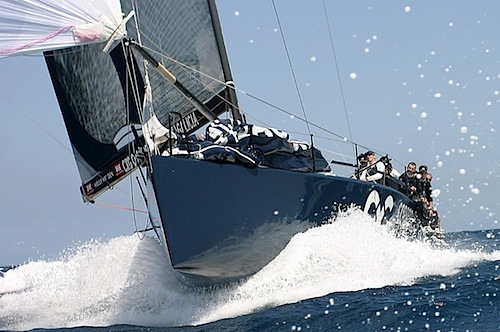 On the back of this success and with very little other activity in the Cup world in 2008 the team decided to build a new TP52 themselves and ask their coach from the last Cup Paul Cayard to skipper it. This will be an interesting team, well funded, well organised and with something to prove. This is an extremely competitive team led by the 83-year old Roemmers. Having lost their mast in one of the races in Hyères last year the team suffered greatly on the overall points tally. This year, with a new mast and significant other modifications to the hull and appendages this team is seriously motivated to do well. This team is one of the favourites for a podium finish at the end of the 2008 Audi MedCup Circuit. This team was the 2006 MedCup Champions and were sailing well in 2007 with a slightly older boat. One simple mistake during a coastal race in Palma turned into a costly set of points from which recovery to an overall season podium finish was never possible. 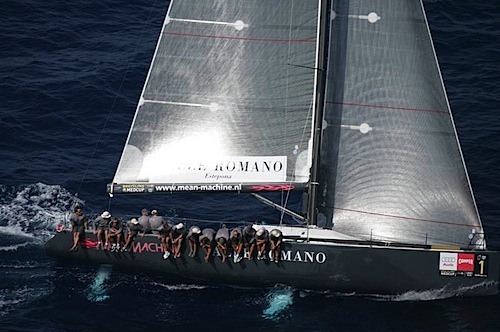 A new boat and an intense programme of racing in other classes for this active racing team means that Mean Machine will be one of the favourites for 2008 honours. Foto: Thierry Martinez. 2007 TP52 Medcup Circuit. Alicante, Spain. One of the most consistent performers on the Audi MedCup Circuit. This team won the first season and have always remained competitive over the following years. 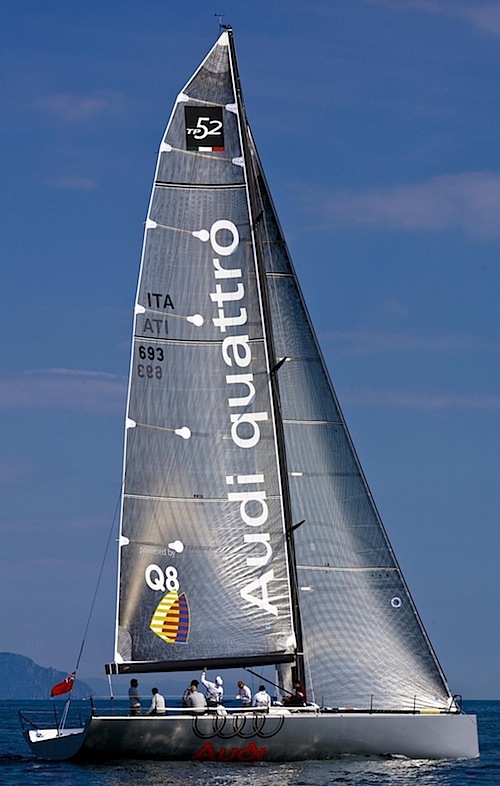 This team has been present on the Audi MedCup Circuit since 2006 when they sailed the previous year’s champion boat. They have since replaced that boat with the 2006 vintage Mean Machine and have spent the winter upgrading her for competitive performance for the 2008 season. Following an accident during delivery to an event in 2007 the old Platoon was written off. But this was after the arrival of legendary German skipper Jochen Schueman had restored this team’s fortunes with some great results in Palma last year. Multiple Olympic medallist, three times Olympic Gold medallist and two times America’s Cup winner, Schueman is now at the head of the German America’s Cup team and he has brought his squad of sailors across to improve the chances of Harm Mueller-Spreer’s brand new Goetz-built boat for the 2008 Audi MedCup Circuit. This is a powerful American team with a strong link between the design office and the skipper from the last America’s Cup. The DeVos family are one of the pillars of American keelboat racing and they are again back to show the way. One of the favourites for the 2008 season. Returning for their second season this is one of two Russian teams competing in the 2008 Audi MedCup Circuit. This boat was the champion boat (Artemis) from the 2007 season and so represents a strong platform for the well-known Spanish team to perform with in 2008. 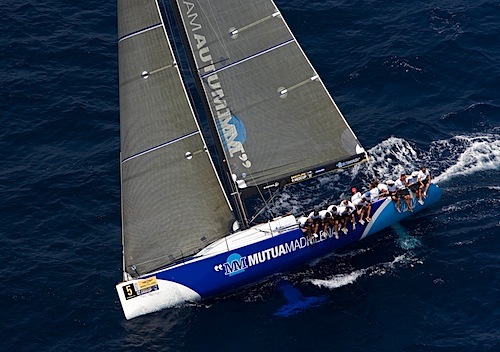 This Russian team, one of two at the Audi MedCup Circuit, has bought the 2007 vintage Mutua Madrileña, a boat that showed great performance in the lighter conditions in 2007. Foto: Diego Yriarte. Medcup Francia, Hyères, 2007.
Who is involved in the Audi MedCup Circuit? World Sailing Management owns MedCup, a company shared by Ignasi Triay, Nacho Postigo and Santa Monica Sports, a Madrid-based sports marketing company with large professional football interests. Postigo and Triay created the MedCup Circuit concept in 2005 and both sail actively in the circuit. Postigo holds the responsibilities of Technical Director of the Audi MedCup Circuit, whilst Triay is the General Director. 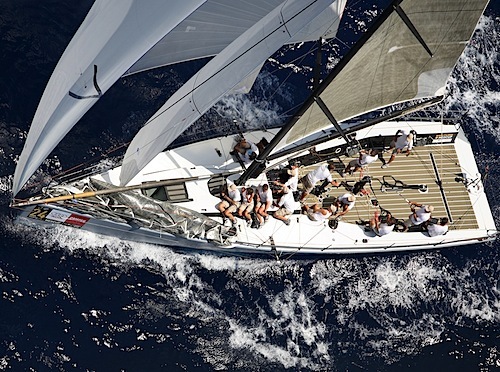 The yachts are owned by a variety of entities from private individuals to corporations and America’s Cup teams. Most of the individual owners race on board. Several of them actually skipper and helm the boat in races. Some of these owners are skipper entrepreneurs whose business is racing yachts and who manage to run their campaigns with a mix of private and commercial money, others are private individuals who can afford to race without sponsorship and chose to do so with their sailing friends as opposed to fully professional crews. No two teams adopt the same approach and as a result the full range of performance abilities are represented in the Audi MedCup Circuit. The media covers the Audi MedCup Circuit because it is colourful and attractive, with a strong sports story, with powerful and charismatic individuals, a strong lifestyle angle and because the event is in such a way that it easily covered. A special feature of each Audi MedCup regatta is the Media Day. The first day of each regatta is a practice race day, that is to say a full set of races are run and all boats participate except that no points are awarded to the competitors. Instead it is the occasion where the media are invited to go out and race on board the yachts and experience first hand what it is like to sail on board a TP52 in a racing environment. It is a taste of what the media will be watching later in the week and unlike other sporting competitions is unique in that the media are able to see from the inside what the challenges of this level of competition are. The guests of the teams and the circuit at each Audi MedCup Circuit regatta can get up close to the racing yachts when they are in port at the beginning and end of each day. They can also interact with the sailors and exhibits in the Audi MedCup Village that is set up at every venue. They can go on the water to watch the racing and then relax with the crews in the Audi MedCup Hospitality Space at the beginning and the end of each day. The public at each Audi MedCup Circuit regatta can view the racing yachts when they are in port at the beginning and the end of each day. They can also interact with the sailors and exhibits in the Audi MedCup Village that is set up at every venue, watch the prizegivings, collect autographs, buy merchandise and trial Audi’s impressive range of cars on display. I think I know the guy in the white T-shirt and white hat in the first photo…..
Vem bryr sig om Americas Cup nar det finns en regatta som den har!!! Synd att inte Victory Challange ar med pa detta. Är det Victory som letat rätt på gamla Goose II (Mumm 36) och kör Lidingö Runt? Eller bara Lars Lingers hobbyprojekt?